Warning: The Safari Browser Cannot Be Used To properly support an HTML email signature, the Safari web browser cannot be used for your signature installation. The formatting will turn out wrong if Safari is used to open and copy the signature. Please download and install either Chrome or Firefox before installing your signature. Click the buttons to learn how to install either Chrome or Firefox. In the tab with your signature, press Command-A then Command-C - this will select your entire signature and then copy it to your clipboard. 1. Open Outlook and go to your preferences. 2. 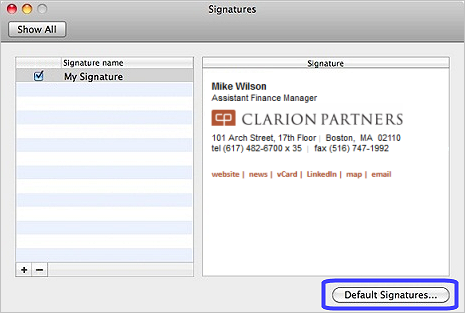 Select signatures then click the + button. 3. Double-click UNTITLED to rename it, for example to “My Signature”. 4. Click the check the box next to “My Signature”. 5. 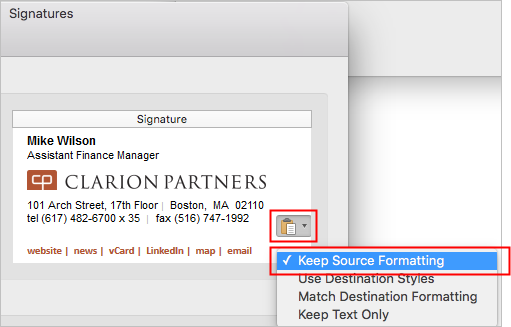 Paste your signature in the text field. 6. 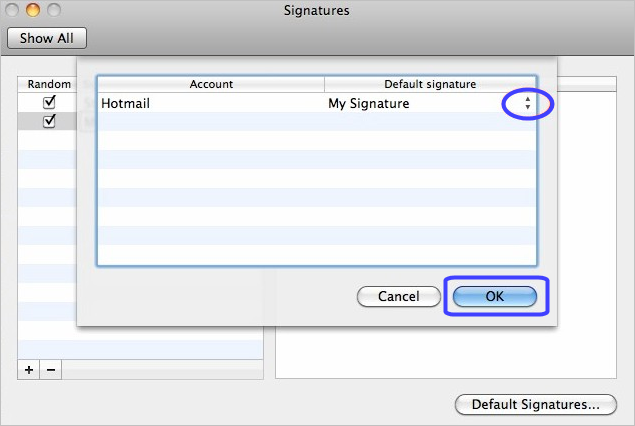 Set your new signature as your default (if you have more than one signature) and you’re all set. 8. Close the Signature window. 9. Click Outlook on the menu and select Preferences. 11. Make sure “When replying or forwarding, use the format of the original message” is UNCHECKED. 12. Close the Composing window and you’re done.